Under the Freedom of Information Act, CREW requests all records concerning or reflecting advice and/or recommendations requested or given to Attorney General Jeff Sessions by anyone within the Department of Justice from March 3, 2017, to the present regarding (1) whether the Attorney General should recuse himself in any matters involving 2016 presidential candidate Hillary Clinton; and (2) the scope of his recusal announced on March 2, 2017. On March 2, 2017, Attorney General Sessions announced he was recusing himself from “any existing or future investigations of any matters related in any way to the campaigns for president of the United States.” Notwithstanding his recusal, two months later Attorney General Sessions played a role in the firing of then-FBI Director James Comey. More recently, he reportedly ordered prosecutors and FBI agents to reexamine their previous investigations of Hillary Clinton while she was a presidential candidate, in apparent violation of the terms of his recusal. The Attorney General’s latest actions have raised a serious question about how he is interpreting his recusal, which specifically references “the campaigns for president of the United States,” a clear reference to the campaigns of both Donald Trump and Hillary Clinton. Equally troubling are reports that the Attorney General is acting in response to political pressure from the White House, and top Republicans on the House and Senate Judiciary Committees. The requested records are likely to contribute to public understanding about the true motivations for the Attorney General’s recent actions, and the extent to which he has sought the advice of DOJ ethics experts before directing that investigations into Hillary Clinton’s conduct be reopened. Without question these actions implicate the integrity and honesty of the nation’s top law enforcement officer. Read the FOIA request here. 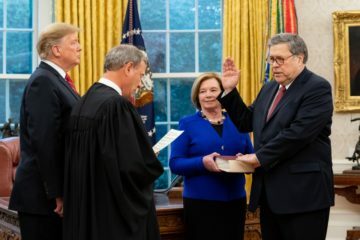 Because Barr so significantly placed his hand on the scales of justice in making his declination decision, the public deserves to know the full basis for it. 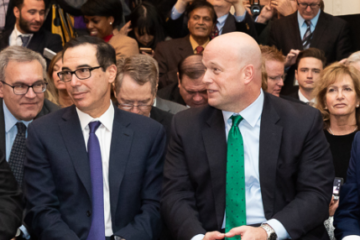 CREW requested communications with donors to Whitaker's 2014 Senate campaign to better understand his financial entanglements and Hatch Act compliance. 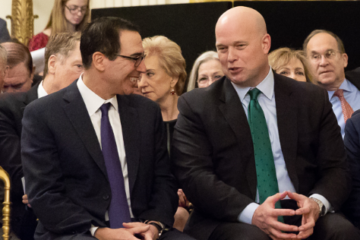 Whitaker's financial disclosure forms had been edited five times in the two weeks since his appointment as Acting Attorney General.